The Best Raleigh Blogs from thousands of Raleigh blogs in our index using search and social metrics. We’ve carefully selected these websites because they are actively working to educate, inspire, and empower their readers with frequent updates and high-quality information. Raleigh, NC About Blog Plan your Raleigh vacation. Find hotels, events, restaurants and things to do in Raleigh from the official visitors bureau. Facebook fans 59,577. Twitter followers 62,283. Raleigh, NC About Blog The definitive online community resource for the Raleigh – Durham area and the #1 local destination to find out about all of the best things going on in your city, including the latest news and updates on popular events, food & drink, entertainment, culture, and other important community affairs. Facebook fans 18,809. Twitter followers 15,954. Raleigh, NC About Blog Shop, Dine, Drink, Listen, Art, Travel, and Explore. All things Raleigh NC. Think local first. Travel Often. Facebook fans 1,590. Twitter followers 7,758. Raleigh, NC About Blog Shop Local Raleigh promotes locally-owned and operated businesses and works to educate consumers, business owners and the Raleigh community about the many benefits of spending locally. Facebook fans 10,170. Twitter followers 31,907. Raleigh, NC About Blog Raleigh Magazine is a dynamic resource covering food, arts, culture, lifestyle, news and entertainment in one of the nation's fastest growing cities. Facebook fans 1,857. Twitter followers 1,407. San Francisco, CA About Blog Raleigh is the capital of the state of North Carolina as well as the seat of Wake County. Discuss Raleigh News, sports, shopping and much more on this subreddit. Facebook fans 1,187,175. Twitter followers 556,422. Raleigh, NC About Blog Local Realtor tips, articles, and advice, for buyers and sellers shopping in the Raleigh Real Estate market as well as surrounding areas. Facebook fans 998. Twitter followers 3,214. Raleigh, NC & The Triangle About Blog Raleigh Moms Blog is a blog connecting moms in Raleigh and all over the Triangle. Our blog is updated regularly with relevant information, personal stories, and helpful advice on being a Raleigh Mom. Facebook fans 7,854. Twitter followers 1,623. Raleigh, NC About Blog The Greater Raleigh Chamber of Commerce builds a thriving regional economy, enhances the community’s quality of life, and strengthens member businesses. Facebook fans 3,547. Twitter followers 36,055. Raleigh About Blog I’m Leo Suarez and I’m passionate about downtown Raleigh. The purpose of this blog is to create interest and start conversations about Raleigh’s urban center. Facebook fans n/a. Twitter followers 3,736. Raleigh About Blog An intelligent reflection of the dynamic place we’re proud to call home, WALTER is the life of the party and the soul of the city. Filled with the folks who make this one of the nation’s best places to live, work, and play, WALTER celebrates them all. Our leaders and doers, artists and athletes, entrepreneurs and entertainers. WALTER’s coverage is broad, because our readers – educated, affluent, and cultured – have interests as diverse as they are refined. Facebook fans 3,899. Twitter followers n/a. Facebook fans 8,559. Twitter followers 1,078. North Carolina About Blog Leading North Carolina Personal Injury & Disability Law Firm. Our personal injury lawyers and accident attorneys in Raleigh NC will help you get the money you deserve. Facebook fans 1,714. Twitter followers 390. Raleigh About Blog To explore the culture, history, passion and people of Raleigh through its culinary delights. Cary, NC About Blog Award Winning Wedding Photographers Raleigh NC, Bow Tie Collaborative, specializes in Wedding Photography in North Carolina and around the world. Facebook fans 1,422. Twitter followers 95. Raleigh NC About Blog A wedding minister’s perspective on weddings and wedding services in the Raleigh, Durham, Chapel Hill and surrounding area...by Reverend Kayelily Middleton. Facebook fans 593. Twitter followers 429. Raleigh, NC About Blog Hello lovely! I’m Carly, the 23 year old blogger behind this website. I live in Raleigh, NC with my beloved boston terrier. During the day, I work as a Multimedia Journalist for The CW. You'll typically find me at a local coffee shop editing the latest content or soaking up the sun at the beach. Facebook fans 1,058. Twitter followers 756. 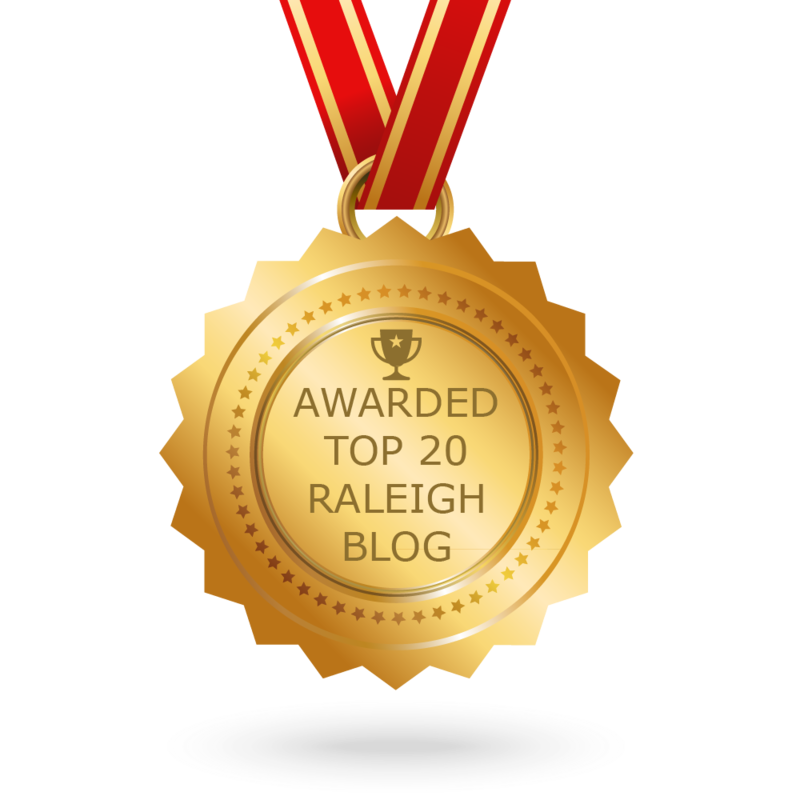 CONGRATULATIONS to every blogger that has made this Top Raleigh Blogs list! This is the most comprehensive list of best Raleigh blogs on the internet and I’m honoured to have you as part of this! I personally give you a high-five and want to thank you for your contribution to this world.